We posted a little over 2 weeks ago that Jose Canseco had received an invitation to try out for the Quintana Roo Tigres of the Mexican League. 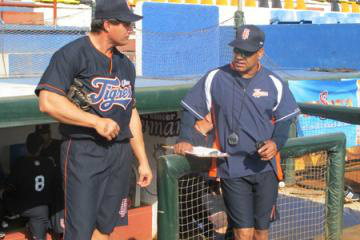 Since then, Canseco has taken to Twitter to document his experiences in the Tigres’ spring camp. 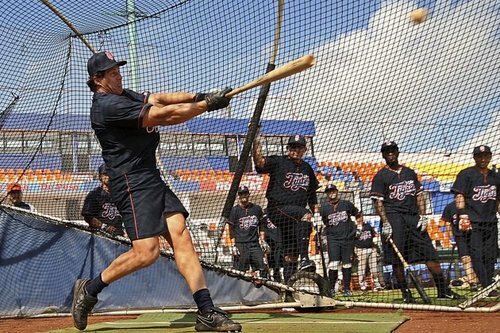 Upon arriving in Cancun, Canseco tweeted about “launching a lot of (batting practice) balls into the jungle.” The interesting thing about that is, having been to Parque Beto Avila (the home of the Quintana Roo Tigres) myself, there is no jungle anywhere near the stadium. Perhaps it was just a figure of speech. 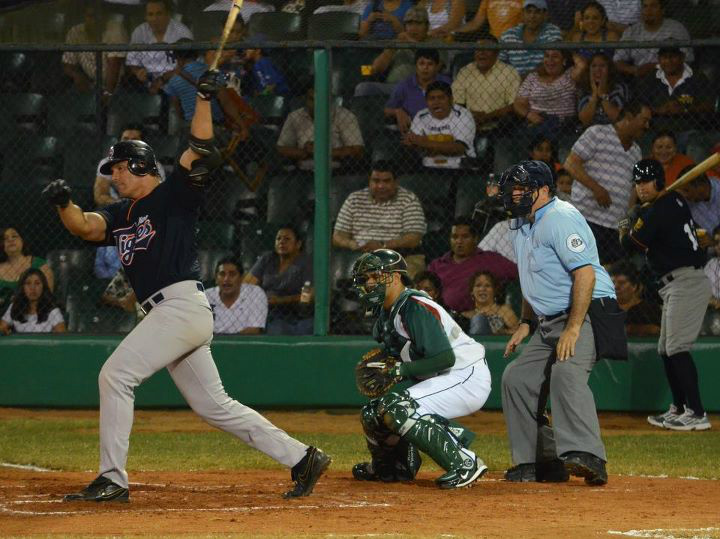 Canseco then travelled 12 hours to Villahermosa on a bus for the team’s first exhibition series. The Cuban-born Canseco took the time to reacquaint himself with the Spanish language and connect with his Mexican fans. In his 2nd game, this time vs. the Piratas de Campeche, Canseco went 2 for 4 and hit a 2-run bomb – estimated (by Canseco) to be 450 feet. Regardless, the Tigres ended up losing the game 4-3. Game 3 pitted the Tigres against the Delfines (dolphins), an expansion team. Canseco walked on 4 pitches before the game was rained out. 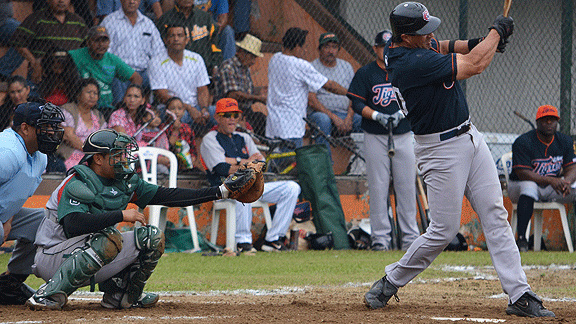 The Tigres went on to tie Tabasco in the 4th and final game of the series. In total, Canseco went 4 for 11 with a home run, 4 RBI and 3 walks. Following the series he began to refer to himself as the Cubano Cañonero – the Cuban Cannon. His final chance to impress the Tigres brass came on Saturday in an exhibition game vs. the Campeche Piratas on the Isle de Mujeres (Island of Women). He racked up 2 hits in the game and was all smiles afteward. This comes as a surprise to Mexican League president Pliny Escalante, who said that Canseco has no place in the Mexican League based on his involvement with steroids in the past. 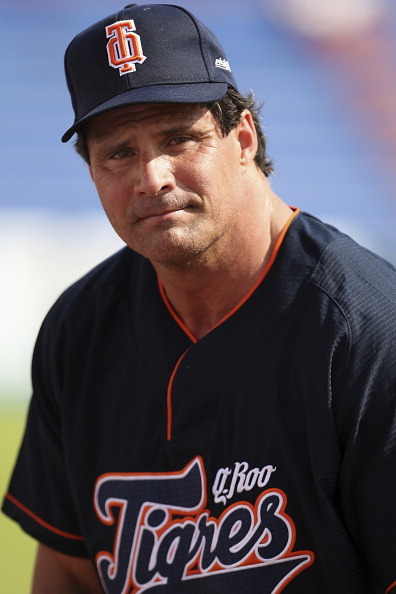 The decision as to whether Canseco made the team was not announced on the Sunday and Canseco travelled with the team to Mexico City to play the Diablos Rojos in an exhibition tilt. 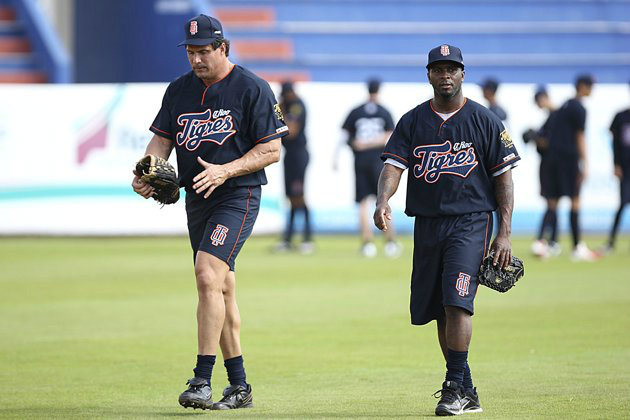 Following the game, it was announced that Canseco would not be a part of the Tigres or the Mexican Baseball League due to his refusal to submit to a drug test. 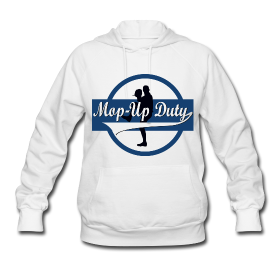 “The player Jose Canseco admitted to taking a substance that is prohibited by the World Anti-Doping Code and he did not submit the necessary medical documentation in regards to the treatment he is undergoing. This documentation is required for such substances when he undergoes doping control tests, as a result he may not participate in the LMB,” said Nestor Brito Alba, Operations Manager of the Mexican League. Canseco has a prescription for testosterone supplementation due to his body’s inability to produce testosterone naturally as a result of years of steroid abuse. With the beginning of the Mexican League season only a week away, the team has opted to carry the maximum 5 foreigners allowed and of those 5, Canseco is not included. “He has documentation which says it is a treatment where he takes certain medications, which when taken will result in a positive test. The resolution of the league is that if you have the documentation and send it to committee studies and prove that the treatment that causes a positive test is necessary, he would be allowed to play. 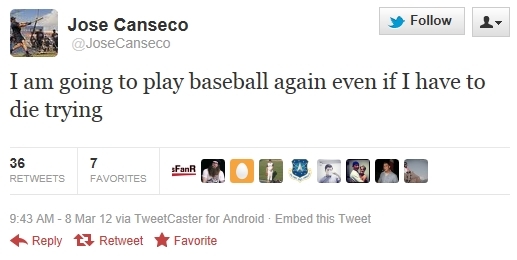 Canseco, of course, turned to Twitter to voice his displeasure with the decision. Hmmmm I wonder? Perhaps it was League President Pliny Escalante, who publicly stated that Canseco has no place in the league. The North American League is a low low low A-level league and Canseco didn’t fare too well in it. The Mexican League is considered to be at the Triple-A level, so it would be interesting to see how Canseco stacks up against high-level competition. To be fair, Canseco’s role as player/manager for the Scorpions was a bit of a circus. One would assume that Canseco would be far more motivated to succeed when playing for a legitimate team in a legitimate league. 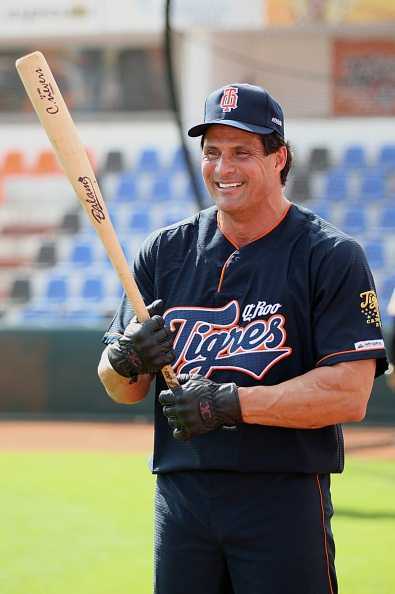 As well, the Mexican League is tailored to Canseco’s strength: power. With many Mexican League teams playing in cities with high altitudes, the ball carries quite well (like it used to a Coors Field before the use of the humidor). As a result, power numbers are inflated. That said, Canseco’s home ballpark in Cancun, Parque Beto Avila, is at sea level. We’ll be sure to keep you posted on any developments on this former Toronto Blue Jay’s mission to continue playing baseball at a high level. Speaking of former Blue Jays, Jose’s partner in crime, fellow-former-Blue Jay Joey Gathright, injured his quad during the camp. Judging by the ominous tone of Jose’s tweet, the injury must be serious. All photos courtesy of Jose Canseco and the Tigres de Quintana Roo, unless otherwise indicated. I tend to think it’s a fair over/under prediction, but that neither will be anywhere close to these numbers. ie I think both Lind and Rasmus will either be stellar, or stink. They’ll both bat .400 and hit at least 3000 home runs.